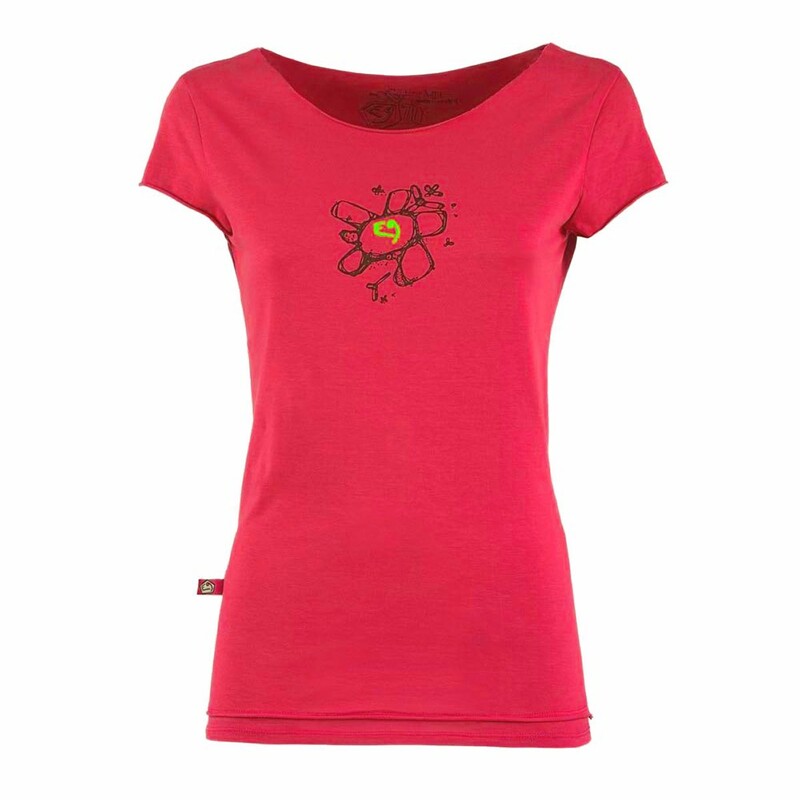 The E9 Women’s Rica T-Shirt is a classic style t-shirt for climbing, bouldering, or going to dinner in. The E9 Women’s Rica T-shirt has a scoop neck that is flattering on the frame, and the simple classic style can be worn with anything. The beautiful detailing on the front and back of the tee provides a great talking point too. For teaming with your favourite climbing pants, or teaming with jeans for your downtime, this is one of our favourites from E9.